The Boxing Promoters Association (BPA) had a very successful meeting this week in Las Vegas, Nevada at the Planet Hollywood Hotel. 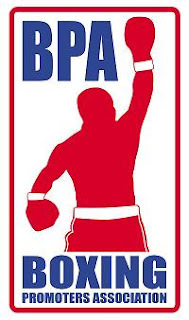 The BPA continued its past success and 2011 promises to be a good one for the BPA and its efforts to assist the boxing industry. The meeting was well attended, and officially marked the first time that promotional powerhouse, Golden Boy Promotions (GBP), which was represented by CEO Richard Schaefer, was an active participant. Just as has been the case in previous meetings, progress was made towards bettering the sport and industry. There were a lot of positive strides over the past year and additional accomplishments that came about during the meeting. Major announcements will be revealed in the upcoming weeks and months. One major development is that the BPA will be reaching out to U.S. Senator John McCain to discuss both past and present issues with boxing legislation. The group intends to specifically address the Muhammad Ali Act and the bill being proposed in the U.S. Congress. The BPA intends to increase the impact and the strength of voice of the BPA in the industry and to assist in protecting and developing the sport. Golden Boy President, Oscar De La Hoya, the former Olympic Gold Medalist and World Champion, will join BPA President, Joe DeGuardia, and some other members of the Board of Directors at the anticipated meeting with Senator McCain. "Boxing: Past, Present and Future - a World-Wide Sport!"